Swanson conducted postgraduate work at Princeton and Cornell Universities on the design of superconducting plasma containment vessels for fusion energy systems. He then began work for Aeronautical Research Associates of Princeton, a consulting company, and later formed his own consulting company which carried out studies in applied physics for commercial and governmental agencies, including DuPont, United Technologies, the U.S. Army and Navy, DARPA and the CIA, among many others. Connection between Dark Matter in Space and the Occurrence of Golden Ages. Recent discoveries in Russia by the Astrophysicist Nikolai Kozyrev, and confirmed by others (Larentiev,__) have revealed a type of energy which is produced by stars, but is also present throughout space (Kozyrev, __). Its properties are closely related to the energy known as “chi” in oriental medicine (also known as subtle energy in the West, and “torsion” by Russian scientists). In laboratory experiments one form of this energy (left handed spin) enhances gravitational attraction and the other reduces it. Russian scientists have proposed that this energy in its two forms are the basis for “dark matter” and “dark matter” respectively. In a recent comprehensive 720 page book which surveys the science of this energy, MIT and Princeton educated physicist Dr. Claude Swanson (Swanson, 2010) describes how this energy, in its left-handed form, also enhances psychic ability and intuition, and is responsible for the Spottiswood 13.5 hour sidereal peak in increased accuracy in ESP and Remote Viewing experiments (Spottiswood, __). This effect has also been confirmed by magnetic healers (Davis, __) and appears consistent with the Russian findings. In other words, this energy, which exists in inhomogeneous “lumps” in space, has the effect of enhancing ESP, psychic ability, remote viewing and other forms of intuition. Computer generated images of dark matter in space by astronomers confirm that it is found concentrated in various regions throughout the universe. The largest near-by concentration is the “Great Attractor” in Virgo, which appears responsible for the Spottiswood peak. It is proposed that such concentrations of dark matter in space could be responsible for the occurrence of “Golden Ages” if the earth moves through such a region. During such times, intuition will be enhanced in the entire population. This will lead to a much quicker understanding of new information, and to the appearance of higher intelligence as a result. A nearby concentration of dark matter of this type could be the origin of “magnetic center” spoken of in the Bhagavad Gita. In fact, there is reason to believe the left handed torsion may be the “source of universal magnetism” since this energy is also found flowing at the poles of permanent magnets, according the experiments of von Reichenbach (von Reichenbach, __). It is also interesting that this polarity of subtle energy is found beneath the apex of pyramids, and raises the suggestion that perhaps they were built as an attempt to preserve this type of energy as the Golden Age wanes and its natural background concentration begins to decrease. Therefore understanding the nature of this type of energy may bring us not only to a deeper understanding of Golden Ages, but also the appearance of very ancient pyramids. Another means to confirm this idea is by testing auxiliary effects which are expected to accompany left-handed torsion. Russian experiments have shown that it also affects other physical parameters, and can lead to increased temperatures. These are consistent with the increased temperatures being observed on several planets in the solar system, at a time when the solar constant (heat output from the sun) has not changed. Listen to Walter Cruttenden and Geoff Patino Interview Claude Swanson on Their Podcast, The Cosmic Influence. Click Here to Launch iTunes and Subscribe to All Episodes of The Cosmic Influence Podcast for FREE. 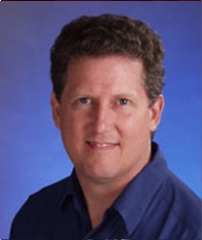 Edward Nightingale is a Master Woodworker and Woodcarver with over 3 decades of experience designing and building high-end architectural millwork for some of the worlds top architectural firms. He has also been researching ancient history with particular interest in the design and construction of ancient stone structures for more than 15 years. Edward originally presented his ongoing research The Giza Template at the 2008 CPAK poster presentation and awarded the first annual Graham Hancock Award for his work. Using the basic tools of his trade, a compass and square, his designing skills and a great interest in ancient history he has worked on back engineering the original architectural design of the Pyramids and Great Sphinx on the Giza Plateau since traveling there in 1997 with John Anthony West and an idea of how the plateau might have been designed. In his work The Giza Template he demonstrates that one facet of the design of Giza is a geometrical puzzle encoding geodetic information, mathematics, science and astronomy that was constructed to endure millennia. Edward will discuss his discoveries found encoded within The Giza Template, one of which is the origin of Egyptian Cubit and the “English” Inch that is at the root of all the measuring systems and found in a musical scale of fifth intervals created by the Pythagorean Lambda Sequence. Edward will present evidence to support his Giza Template geometry using The Giza Plateau Mapping Project survey. Using very specific geometry he will also demonstrate how certain groups blatantly display this knowledge in their symbols, seals, rituals and heraldry, and that it has been secretly passed down through the ages and hidden in the very foundation of the great American dream. 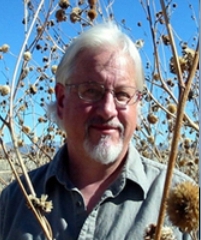 Gary A. David is an independent researcher and author who has been intrigued by the American Southwest since his initial trip there in 1987. The following year he lived for about six months in northern New Mexico, where he studied archaeological ruins and rock art. In 1994 he moved to Arizona and began an intensive study of the ancestral Pueblo People (sometimes incorrectly referred to as the Anasazi) and their descendants the Hopi. 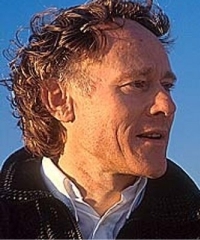 In 2006 after more than a decade of fieldwork and scholarly inquiry, his nonfiction book The Orion Zone: Ancient Star Cites of the American Southwest was published. This volume describes a pattern of Hopi villages and ruin sites that precisely mirrors Orion, with an ancient site corresponding to each major star in the constellation. (See map page.) The sequel released in early 2008 is titled Eye of the Phoenix: Mysterious Visions and Secrets of the American Southwest. In autumn of 2010 the third book in the series called The Kivas of Heaven: Ancient Hopi Starlore was published. All three books are available from Adventures Unlimited Press, Amazon, Barnes & Noble, Borders, and fine bookstores everywhere. His articles or interviews have appeared in Ancient American, Atlantis Rising, Fate, Four Corners, Sagenhafte Zeiten (Erich von Däniken’s “Legendary Times”), World Explorer, and UFO magazines. One of Gary’s essays was also published in Lost Knowledge of the Ancients: a Graham Hancock Reader. Read a review of this anthology. Mr. David earned a bachelors degree in Arts from Kent State University and a Master of Arts in the literature of the American West from the University of Colorado. He has worked as a adjunct professor of English and creative writing, a traveling ambassador for the South Dakota Arts Council, and a professional lead guitarist and vocalist. Gary is also the author of a number of poetry books, including A Log of Deadwood: a Postmodern Epic of the South Dakota Gold Rush (North Atlantic Books, Berkeley, 1993) and Tierra Zia: Poems and Petroglyphs from New Mexico (Nine Muses Books, Winston, Oregon, 1996), both available from Amazon.com. Glenn Kreisberg is a radio frequency engineer, writer and researcher who currently serves as Vice President of the New England Antiquities Research Association ( www.NEARA.org ) He’s researched and published articles and interviews on electromagnetism and the ancients, historic bluestone quarrying in upstate New York and lithic sites and alignments in the northeast U.S. and, among others. Glenn is also the founder and editor of the alternative science and history web site www.ASHnews.org as well as the current editor of the Author of the Month page featured at www.grahamhancock.com. His first book, an edited anthology of essays titled Lost Knowledge of the Ancients – A Graham Hancock reader, was published last fall by Inner Traditions – Bear and Company. Lost Landscapes and Hidden Legacies: A Survey of Lithic Sites in the Hudson Valley, Shawangunk and Catskill Mountains. 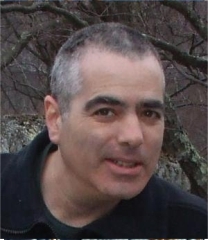 Local upstate New York resident and NEARA researcher Glenn Kreisberg will present and discuss sites in the Catskills, Shawangunks and Hudson Valley consisting of dry stone walls, cairn fields, chambers, megaliths, alignments and more. Some consider the northeastern US to be home to the largest collection of astronomically aligned stone construction to be found anywhere. Who built them, why and when? Evidence exists to support the theory an ancient cultural group used features in the landscape of the Catskill and Shawangunk Mountains, in upstate New York, to carry out astronomical observations and preserved the information by manipulating the natural terrain to create alignments between the horizon, landscape features and manmade monuments. Some of the alignments are configured over distances of up to nearly 20 miles and petroforms have been discovered which represent star constellations in the northern sky. These finds hold the potential to reshape our understanding and concept of what ancient (prehistoric) man knew and was capable of accomplishing. Graham Hancock is the author of the major international bestsellers The Sign and the Seal, Fingerprints of the Gods, Keeper of Genesis, The Mars Mystery, Heaven’s Mirror and Underworld. His books have sold more than five million copies worldwide, have been translated into 27 languages, and include five No. 1 bestsellers in the UK. His public lectures and TV appearances, including the three-hour Learning Channel series Quest For The Lost Civilization (1998), and Flooded Kingdoms of the Ice Age (2002), have put his ideas before audiences of tens of millions. He has become recognized as an unconventional thinker who raises legitimate questions about humanity’s history and prehistory and offers an increasingly popular challenge to the entrenched views of orthodox scholars. Graham Hancock’s newest book is Supernatural: Meetings With the Ancient Teachers of Mankind. Graham’s talk: Finding the forbidden fruit of Gnosis. As the ancients long ago predicted, a new form of consciousness is struggling to be born. This new form of consciousness has the capacity to lift us out of the evil and negative thought patterns of the recent age and into a bright future where we can once again take up our rightful place in the Cosmos. If we wish to help in its birth, Graham Hancock argues, then we should not turn to materialism, or to the mainstream religions – which are instruments of prior age consciousness – but should look instead to the spiritual wisdom of earlier precessional ages. From the painted caves of Europe through the ancient Egyptian system for the perfection of the soul, and down to the disturbing revelations of Hermeticism and Gnosis snuffed out at the beginning of the last Age, Hancock argues that we have much to learn. Listen to Walter Cruttenden and Geoff Patino Interview Graham Hancock on Their Podcast, The Cosmic Influence. 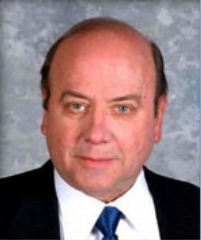 John Dering is a physicist and the senior scientist for research in Lasers and Special Projects at Scientific Applications and Research Associates (SARA, Inc.). where he specializes in technology for the generation and application of intense electromagnetic and acoustic fields and wave energy. He has made television appearances on The Discovery Channel, the History Channel, the BBC and ABC’s 20/20 and his work in acoustics has been written about in US News and World Report, Defense Weekly and Popular Mechanics. 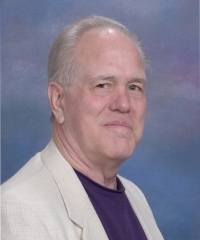 John is an avid researcher of ancient cultures and believes that some pre-Dark Age civilizations may have known of natural electromagnetism and other fundamental forces of nature that affect mankind over long periods of time. His talk will focus on this phenomenon, it causes and implications for the future. Listen to Walter Cruttenden and Geoff Patino Interview John Dering on Their Podcast, The Cosmic Influence. Michael Cremo is on the cutting edge of science and culture issues. In the course of a few months time he might be found on pilgrimage to sacred sites in India, appearing on a national television show in the United States or another country, lecturing at a mainstream science conference, or speaking to an alternative science gathering. As he crosses disciplinary and cultural boundaries, he presents to his various audiences a compelling case for negotiating a new consensus on the nature of reality. 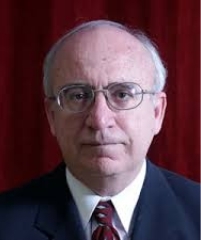 Michael Cremo is a member of the World Archaeological Congress and the European Association of Archaeologists and a research associate in history and philosophy of science for the Bhaktivedanta Institute. After receiving a scholarship to study International Affairs at George Washington University, Michael began to study the ancient histories of India known as the Vedas. In this way, he has broadened his academic knowledge with spirituality from the Eastern tradition. Laird Scranton author of “The Science of the Dogon” and other books on Ancient Cosmology and Language will discuss how the earliest systems of hieroglyphic writing appear to have evolved from important shapes of cosmology. 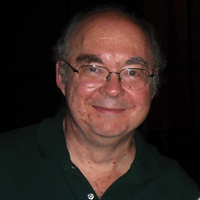 Laird Scranton is a software designer and author of several books on Dogon and Egyptian cosmology and language. His articles have been published in Temple University’s Encyclopedia of African Religion and the University of Chicago’s academic journal Anthropology News. He appears in Carmen Boulter’s recent documentary The Pyramid Code and John Anthony West’s Magical Egypt. Joseph is co-author of The Yugas: Keys to Understanding Our Hidden Past, Emerging Energy Age and Enlightened Future. Joseph studied ancient Western cultures at the University of Colorado and ancient Eastern cultures at UC Berkeley. In 1975, he became a founding member of Ananda Village in Northern California where he began a thirty-five year study and appreciation of Sri Yukteswar’s yugas. Joseph has taught and lectured extensively, both in the US and Europe, on the principles of higher awareness and yoga, which has given him an inner perspective on the yugas. Joseph is also the founder and CEO of Tristream, a highly successful web development and experience design business. He has been frequent speaker at industry conferences. He currently lives at Ananda Village with his wife. What might life have been like for the people who shared these advanced levels of consciousness? Are there people alive today who share these advanced levels of consciousness? What other abilities might they have had besides mental telepathy? Telekinesis? Manipulation of matter? What did their societies look like? Paradise? Enlightened rulers? Enlightened warriors? What can we make of the physical record they have left behind for us to find such as Gobekli Tepe, ancient maps, and observatories? How do we understand the legacy they left behind such as the Vedas, one world culture and astrology? Please join us in welcoming author and researcher Arthur Faram as September Author of the Month. Arthurs book Ancient Signposts reveals world secrets that have been kept and passed down for millennia. In it you will explore previously unknown secrets of the Egyptian, Chinese and Mayan pyramids. You will visit a Viking geoglyph which outlines territory given to the Vikings after leaving Europe circa 1000AD. You will learn which famous artist included coded messages about the ancient past in his paintings, and much more.